I released new hats today. 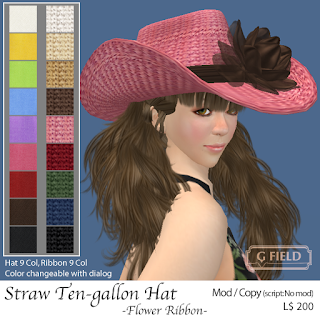 Broad brim hat with ribbon. you can change hat & ribbon color with dialog. 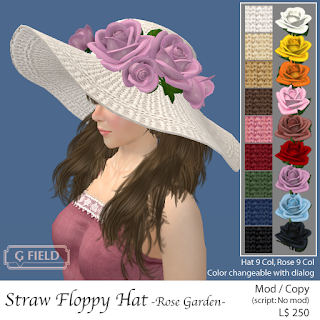 Broad brim hat with rose flower. you can change hat & rose color with dialog. 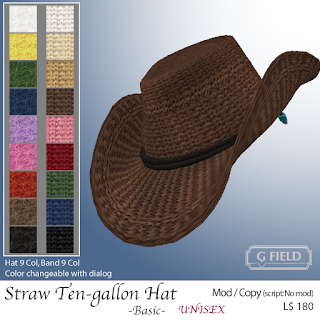 Ten-gallon style hat for everyone(men & women) . you can change hat & band color with dialog. 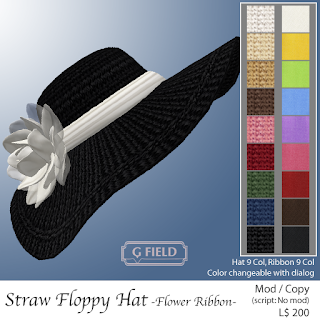 Ten-gallon style hat with ribbon. you can change hat & ribbon color with dialog. 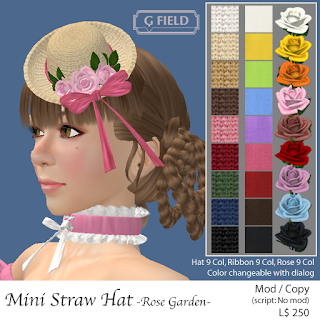 Mini straw hat with robbon and rose flower. you can change hat & ribbon & rose color with dialog. 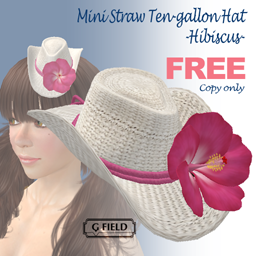 1) Mini straw ten-gallon hat with hibiscus. L$0. Available at main store, next to new hats. 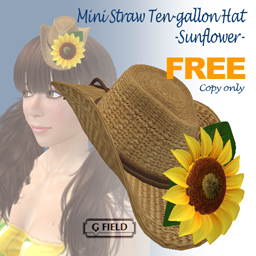 2) Mini straw ten-gallon hat with sunflower, L$0. This is free item for Angel Eve Mall's "Beach Fair".